Here’s an old trick which works great on ESX servers (thanks to this article on Linux Journal for reminding me). 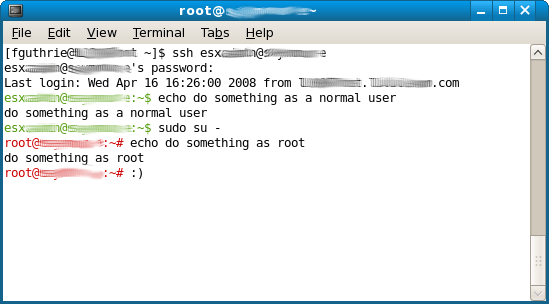 It turns your prompt different colours to highlight when you are logged in as root. This is a nice tip, just gives you a heads up with out much thought as to where you are and the potential for your cmd line inputs. not to mention, quicker admins make more money, lol… wait, what?